Teenage Sporting CP defender Tiago Djaló has arrived to sign his Milan contract, confirmed Sky Sport Italia. “I am very happy. Forza Milan,” he told reporters at the airport. Lazio, Manchester United and Manchester City had also been tracking Tiago Djalo. It’s reported Sporting included a clause ensuring Milan cannot sell him on to rivals Benfica and FC Porto. Paris Saint Germain midfielder Adrien Rabiot has emerged as a top transfer target for Real Madrid, according to Don Balon. The Frenchman will leave the Parc Des Princes at the end of the season when his current contract expires, with a number of top European clubs chasing his signature. 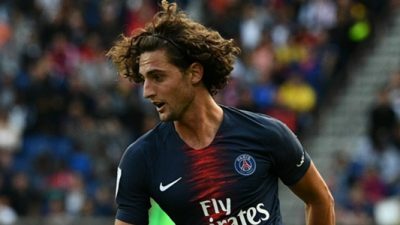 Madrid president Florentino Perez is confident of winning the race to sign Rabiot though, with a potential deal mooted before the January window shuts. Victor Moses has completed a loan move from Chelsea to Fenerbahce, as the Turkish club has announced on Friday. The Nigerian full-back will spend six months at the Sukru Saracoglu Stadium, after arriving in Istanbul on Wednesday. Moses only managed to appear in two Premier League games for Chelsea during the first half of the season, falling out of favour under Maurizio Sarri. Barcelona are exploring the possibility of signing Ajax defender Matthijs De Ligt, according to Mundo Deportivo. Frenkie De Jong completed his move to the Camp Nou on Thursday from Ajax, but will remain at the Johan Cruyff Arena for the remainder of the current campaign. De Ligt is keen to keep playing with his Dutch teammate beyond this season and Barca are thusly now lining up a potential bid for his services. Frosinone have officially purchased striker Marcello Trotta from Sassuolo. The 26-year-old completed the transfer this afternoon, having played only 95 minutes over two games for Sassuolo this season. Trotta spent much of his early career in England with Manchester City and Fulham youth academies, Wycombe Wanderers, Watford, Brentford and Barnsley. He never really made an impact since his return to Italy in January 2015 for Avellino, Sassuolo and Crotone. Juventus have reportedly agreed personal terms with Martin Caceres and must now negotiate his arrival with Lazio. However, competition and injuries prevented the 31-year-old from becoming a first-team regular and he has gone on to play for Southampton, Verona and Lazio. 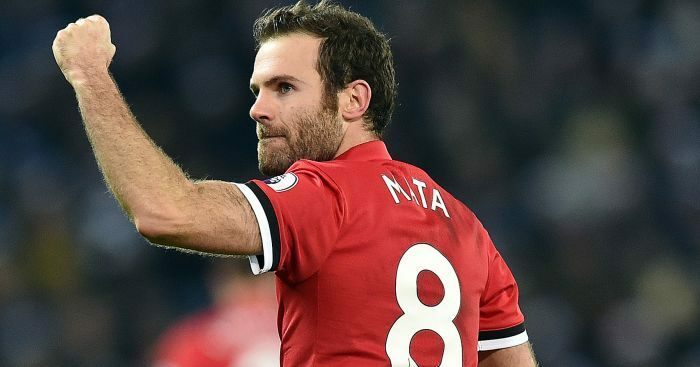 Barcelona have made contact with the representatives of Manchester United midfielder Juan Mata as they weigh up a move for the Spain international, Goal understands. The 30-year-old is available on a free transfer at the end of the season as his contract at Old Trafford runs down, with Barca keen to take advantage. Juventus and Paris Saint-Germain have also shown an interest in the former Chelsea star. AC Milan want to sign Gerard Deulofeu on loan in January, according to Corriere dello Sport. The Spaniard has spent time with the Serie A side previously, making 18 appearances in a loan spell during the 2016-17 season. With Krzysztof Piatek having signed for the club in January to replace Gonzalo Higuain, Milan now want the 24-year-old to further bolster their attacking line. Valencia have made a move to sign West Ham forward Chicharito, according to the Marca. The Liga club have lodged an initial €8 million (£7m/$9m) bid for the Mexican striker, although the Hammers are reportedly holding out for a figure of up to €14m (£12m/$16m). The report also states that Monaco are also looking at a potential deal for the former Manchester United man. 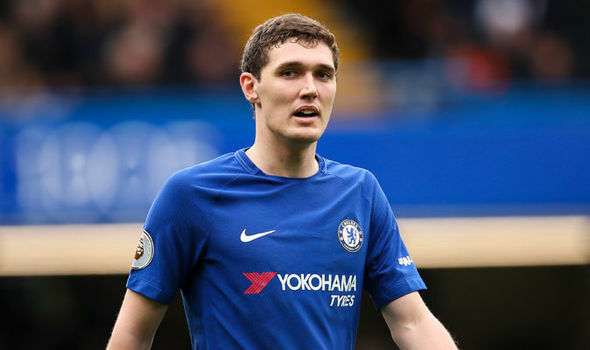 Serie A champions Juventus are plotting a move for Chelsea defender Andreas Christensen, according to Corriere dello Sport. The Bianconeri are expecting to see Medhi Benatia leave the club and consider a Denmark international at Stamford Bridge to be an ideal replacement in their centre-half ranks. 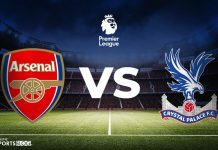 Arsenal intend to keep Carl Jenkinson and block any loan approaches for the full-back before the winter deadline, claims The Mirror. Burnley and West Brom are among those who had been hoping to take the 26-year-old on a short-term arrangement. Asmir Begovic is open to offers after losing his place at Bournemouth, claims The Sun, with a number of Premier League sides considering an approach. It has been suggested that Manchester City may explore the option of landing the former Chelsea goalkeeper as they lack experienced cover for Ederson with Claudio Bravo still working his way back to fitness. Antonio Sanabria says he is excited about joining a ‘historic club’ in Genoa after arriving to complete his transfer from Real Betis. Sanabria landed in Milan on Friday morning to take his Genoa medical and put pen to paper, having only scored Betis’ equaliser against Espanyol in the Copa del Rey the night before. “I’m happy to be back in Italy,” the former Roma striker told Sky Sport Italia. “I’m ready for this new adventure. Genoa are a good team and a historic club. I hope to do well with them. The Grifone are expected to sign the 22-year-old on an 18-month loan with a €20m option to buy, 50 percent of which would go to Roma. Brighton and Hove Albion right-back Ezequiel Schelotto is on the verge of joining Chievo. Gianluca Di Marzio’s website reports Schelotto will undergo a medical with Chievo on Friday before signing a loan deal until the end of the season. The 29-year-old joined Brighton from Sporting CP in the summer of 2017 and made 20 Premier League appearances last season. However, he has not played at all for the English side in 2018-19 and will join the Serie A team he most recently turned out for. 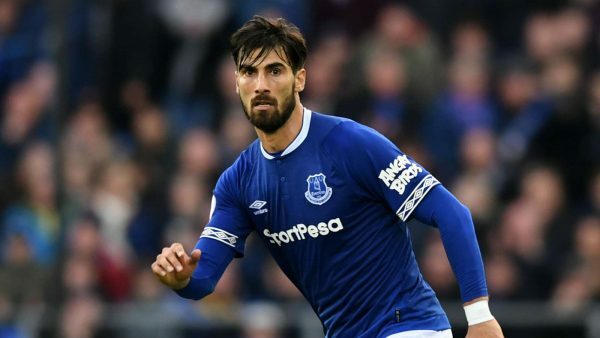 Lazio and Roma are looking to add on-loan midfielder Andre Gomes as part of a summer transfer, according to Calcio Mercato. 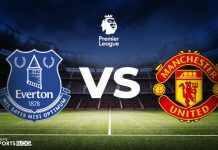 The two Italian rivals are set to battle for the Portuguese, who is currently with Everton after several difficult years with Barcelona. Lazio see Gomes as a potential midfield replacement for Sergej Milinkovic-Savic, who could leave the club this summer. Udinese midfielder Andrija Balic has joined Dutch side Fortuna Sittard on loan for the rest of the season. The deal was announced by Udinese on their official website, although there is no mention of an option to buy. Balic joined the Zebrette from Hajduk Split in February 2016 but has seen just 43 minutes of game time this season. Nonetheless, the 21-year-old has been struggling with a hamstring injury and is a Croatia Under-21 international. Arsenal are interested in signing Sampdoria goalkeeper Emil Audero as a replacement for the retiring Petr Cech, according to Sky in Italy. 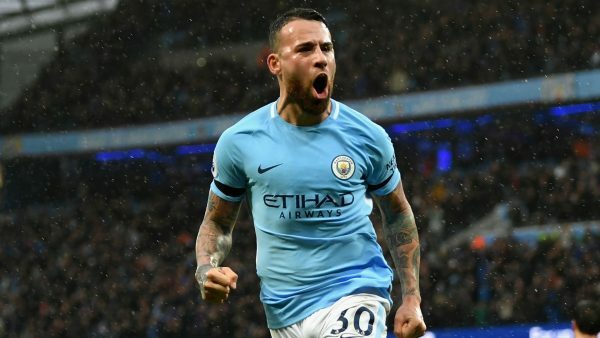 Barcelona are attempting to sign Manchester City’s Nicolas Otamendi this month, reports The Sun. Pep Guardiola has admitted the centre-back has grown frustrated by his lack of game time at the Etihad Stadium, and Barca are set to offer him a way out. 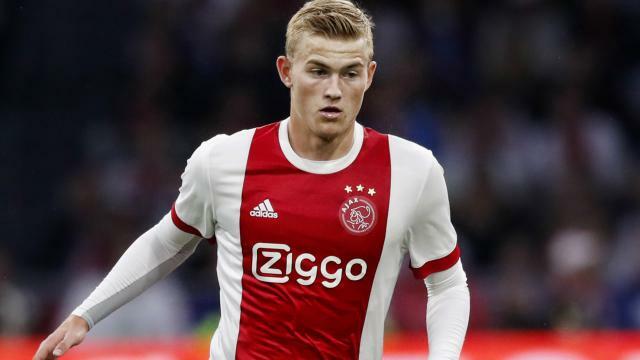 Man City are already targetting a move for Matthias de Ligt who would provide more competition for the 30-year-old. RB Leipzig are set to offer Timo Werner a lucrative new deal in a bid to keep him at the club, reports Bild. A statement on Juve’s website confirms Genoa will pay €1.5m to sign Sturaro on loan for the rest of the season. The Grifone will then be obliged to buy the midfielder for €8m, spread over three years, providing certain ‘sporting’ conditions are met, before a further €8.5m could follow in the way of bonuses. Diego Godin has undergone a secret medical with Inter and is close to signing a pre-contract agreement with the Serie A club, according to Sky Sports Italy. The Atletico Madrid captain’s deal runs out at the end of the season, and had been the subject of interest from Manchester United and Manchester City. But the defender has chosen a move to Milan, and will sign a two-year deal ahead of the 2019-20 campaign. SEVILLA TURN ATTENTION TO MARTIAL? Sevilla want to sign Manchester United forward Anthony Martial, reports the Daily Mail. The La Liga club have switched their focus to signing the Frenchman after missing out on Chelsea striker Alvaro Morata, who is close to completing his loan move to Atletico Madrid. 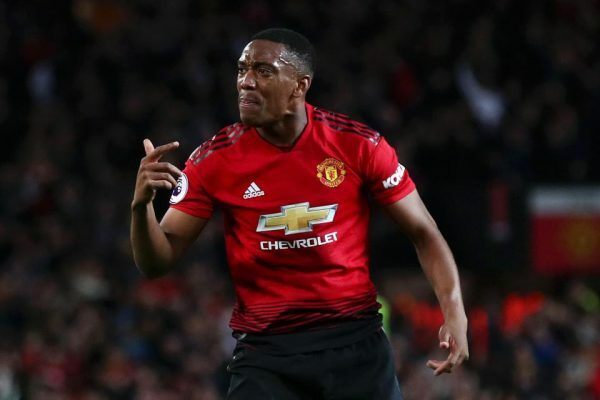 However, Sky Sports News understands Martial is close to agreement a new five-year contract extension at Old Trafford. Inter could complete their deal for Southampton and Portugal right-back Cedric Soares as early as Friday. Sportitalia’s Alfredo Pedulla reports Inter have reached ‘total agreement’ with Southampton over a loan with an option to buy for Cedric. As a result, Pedulla expects the 27-year-old to land in Milan tomorrow for a medical and the signing of his contract. Sky Sport Italia has since followed up by claiming the Nerazzurri will pay €500,000 to loan him for the rest of the season and have negotiated an €11m option to buy this summer.